Are you looking for a delicious couscous recipe with a difference? If you are, you’ve found it! 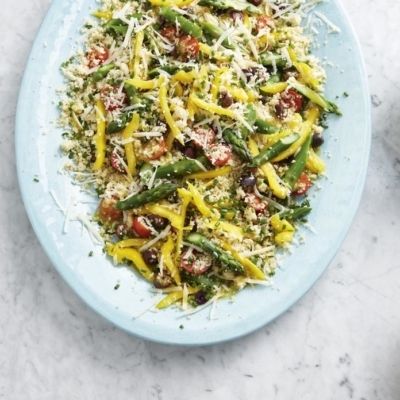 Here’s my couscous salad with olives, asparagus & grana padano for you to enjoy. 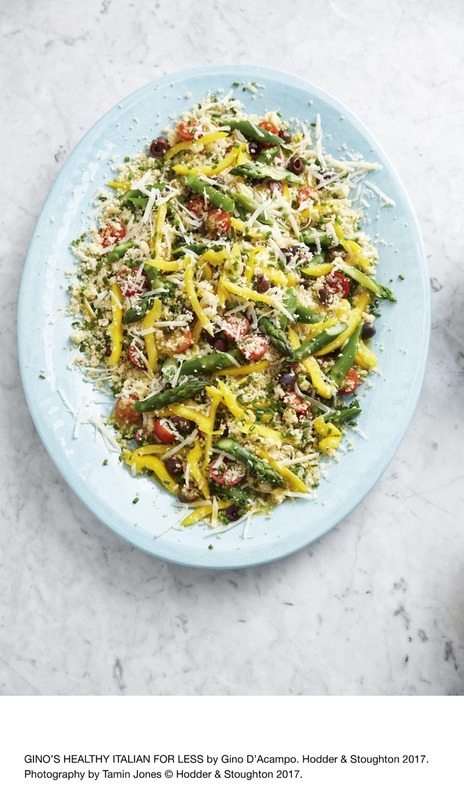 Feast your eyes on the finest couscous salad with olives, asparagus & grana padano! It’s straightforward and fun to make this great dish. Simply follow the instructions below and get the perfect result. Pour the vegetable stock into a medium lidded saucepan and bring to the boil. Add the couscous and stir. Cover, reduce the heat and simmer for 5 minutes or until all the water has been absorbed. Remove from the heat and leave to stand with the lid on for 10 minutes. Uncover and fluff the couscous up with a fork, then set aside to cool. Meanwhile, bring a medium saucepan of salted water to the boil. Drop in the asparagus and cook for 3 minutes. Drain and drop into cold water to refresh them – this keeps them crunchy and retains their beautiful green colour. Drain and chop into 2cm pieces and put into a large bowl. Add the pepper, tomatoes, olives, Grana Padano and chives to the asparagus. Set aside. To make the dressing, pour the extra virgin olive oil, vinegar and mustard into a small bowl. Season with salt and pepper and whisk to combine. Pour the dressing into the bowl over the vegetables. Add the cooled couscous and stir all together. Serve on a large platter with a few cold beers. 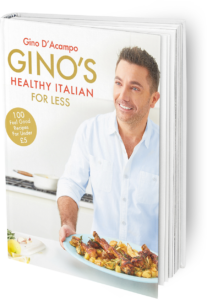 Once you’re done, simply sit back and enjoy your couscous salad with olives, asparagus & grana padano and don’t forget to check out other great authentic Italian recipes including great antipasti recipes, Italian pasta recipes, Italian soup recipes, Italian beef dishes and authentic pizza recipes.